Easy roasting and baking for parties and large family gatherings. 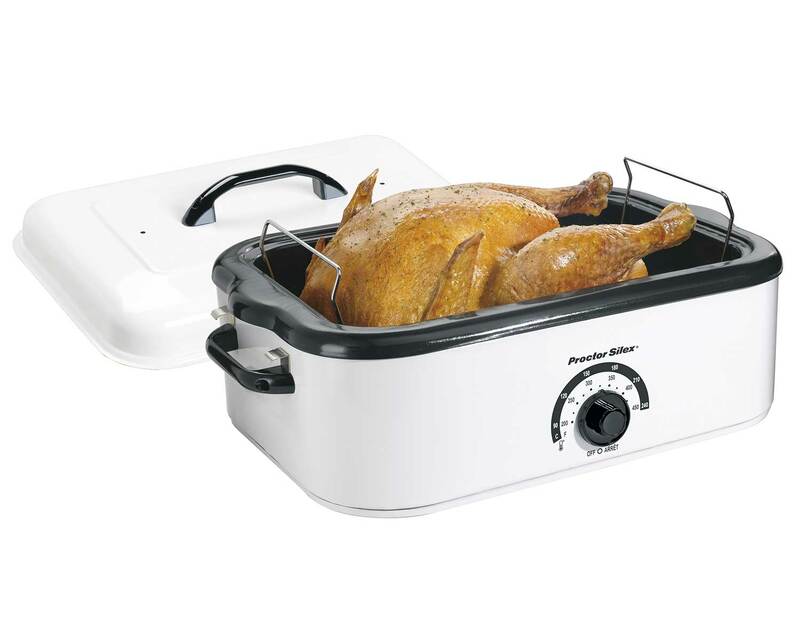 Proctor Silex® Roaster Ovens make it easy to feed a crowd. Not only do these convenient roaster ovens bake, roast, and cook like a traditional oven, they're also great for making popular desserts like cheesecake and pound cake. Best of all, they are portable, making them perfect for cooking away from home on Thanksgiving and other special occasions. Whether you're roasting a turkey, baking potatoes, or cooking a side dish, Proctor Silex® roaster ovens give you the extra cooking space you need when your main oven is busy cooking other dishes or desserts. After the meal, you can relax - Proctor Silex® Roaster Ovens have a removable cooking pan that lifts out for easy cleanup at the sink.